The word Biryani came from a Persian word ‘Berya(n)’ which means fried. It is actually a mixture of Basmati Rice, Chicken, Mutton, Egg, Potato and many spices. It is a very popular dish of South Asia, specially in India. Many countries like Iraq, Iran, Afghanistan have their own traditions of cooking Biryani. In Thailand, Malaysia, Singapore also they try to come out of their Chinese / Thai cuisine and serve Biryani, which is an adaptation of Dum Biryani of India which is however not that popular. In India the origin of Biryani is uncertain but it is traditionally associated with Mughlai Cuisine and Awadhi [Lucknow] cuisine. In India, Hyderabad, Kolkata and Lucknow are famous for their unique style and taste of Biryani. Following are Karnataka, Kerala and Mumbai, they also have their own tastes. Hyderabadi Biryani is usualy very spicy and in Hyderabad they serve Jaljeera [Tangy Mint] water before presenting their Biryani. In Karnataka they serve medium spicy Ambur Biryani along with Rasam and Raita (Curd, Onion and Cucumber). Famous Thalassery Biryani or Malabar biryani made of a rice name ‘Khyma’ which bring a sweet taste and makes it special. In Kolkata Biryani came with Nawab Wajid Ali Shah in 1856. In Kolkata they cook biryani less spicy and less oily. They call it as Bi-ri-ani, with a bengali touch in Kolkata. Kolkata’s biryani is basicaly prepared in Lucknow style and They use Keora Water or Rose Water to add an special aroma. Like Lucknow Biryani, Kolkata Biryani is also contains a boiled egg and a Boiled potato. Another style of Biryani can be found in Kolkata in the name of Dhakai Biryani, which is having root in Dhaka, Bangladesh. Dhaka Biryani House is a famous Biryani chain who serves Dhakai Biryani only. Dhakai Biryani is strongly rich and greasy. Almost in every corner of the town you can certainly get Biryani. From Footpath to 5-star, every food joint serves Biryani as Bengali people are much in love with this dish. The prices also vary from Rs.50 to Rs.500. As this is a Nawabi Delicacy, the Mughal Restaurants like Arsalan, Zeeshan, Shiraj, Alibaba, Aminia, Biriyani House, Haji Saheb, Rehmania, Bawarchi prepare the best Biryani in town. Among other multi cuisine restaurants Drumstick(Beliaghata) & Azad Hind Dhaba’s Biryani is our favorite too. Though there are many restaurants in Kolkata neighborhood is also very popular like Dada Boudi-r Biryani in Barrackpore, Penguin Dhaba in Sodepur is worth of mention. But among all of them King of Biryani is Arsalan, they do beat all others. Their tastes are briliant. The Rice and Meat gets along so well together. Their flavour is incomparable.The meat is so tender yet juicy. 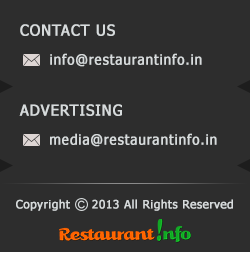 The best Biryani in town is their’s and also they have plenty of dishes which go well with it. Murgh Makhani, Murgh Tikka Butter Masala, Chicken Chap are some of those. They have Home Delivery Service also. Arsalan has 4 outlets in town at Wellesley, Hatibagan, New Alipore, Park Circus and Park Street. Here is the price list for different biryanis of the town. Price of Biryani in Arsalan below. After Arsalan, we have Shiraz, who serve equally good Biryani. From the year 1970 they have been serving great Lucknow style Biryani. In here Chicken/Mutton Chanp goes best with Biryani. Many celebrities (National /International) like M.F.Hussain, Shabana Azmi, Shahid Afridi has visited this place many a times to taste the awesomeness of Shiraz’s Biryani. Price of Biryani in Shiraz below. In Aminia, the old fashioned cabin and the same white plate has been retained for years along with the great taste of their food. Their Chicken Chanp/Chicken Rezala with Roti/Naan is also very popular along with their Biryani. They cook it in Lucknow style so it’s not that much rich and spicy. Their Special Awadhi biryani contains 2 pieces of mutton, one egg and mutton kofta. They serve in good quantity also. Aminia now have 7 outlets across Kolkata at Golpark, Garia, Tollygunge, Chandni Chaowk, New Market, Jessore Road and Rajarhat New Town. Check out for Price of Biryani in Aminia below. At Zeeshan, the ambiance is not that good and their A.C section to is so low that you have to crawl into your seat. Their Biryani is oily and the Chicken Rezala also is too rich. Whatever, the taste is very good here and that’s the reason this place is so popular. But day by day their quality is degrading. Price of Biryani in Zeeshan below. This is my personal favourite. Ambiance there is not that good but they serve very good awadhi biryani. Chicken pieces were soft and the rice smells awesome, which attracts people the most. And the Firni is the best in Kolkata. Price of Biryani in India below. This restaurant is one of our favourite. their decor and hospitality is very good. service is very fast also. Without being a Mughlai dish Specialist they serve a very good quality of Biryani. The big piece of meat they serve is tender and tasty. The rice is not very rich and not too oily. And last but not the least, the quantity is great. For average eater two plates can be shared by three people. Price of Biryani in Drumstick below. Biryani of Only Alibaba is not that famous like other Mughal Restaurants – Arsalan or Zeeshan but is good and less rich. Quantity is also very good. The Decor is very soothing , Staffs are very helpful. They make Biryani less oily so they use dalda in minimum quantity. Their Spl. Biryani contains 2 pcs. of Meats and Eggs. The Nawabi Biryani is our favorite in here. Price of Biryani in Only Alibaba below. Biryani of Azad Hind Dhaba is too different from others. They make it dry and they serve the meat with some gravy so that you can easily have the biryani without and side dish. The aura and arrangement of Azad Hind Dhaba of Banshdroni Area is very pleasant. Quantity is also very good. In the Spl Mutton Biryani you will get 4 pcs. of soft meats. Less oily and less rich biryani of Azad Hind Dhaba is edible by people of all ages.Price of Biryani in Azad Hind Dhaba below. I think this is the only place in Kolkata who serves different Nine types of Biryani. Their Biryani is oily though not that rich but tasty. Their Azadi Biryani contains Chicken/ Mutton Kebabs in it, and the Mutton / Chicken Kasha Biryani have two Eggs in it. And they cooks the Biryani with Ghee so a different smell will attract you to come again here. The Price is also reasonable here.Price of Biryani in Bawarchi below. As the name goes, Biryani House is very popular for their biryani only. Chicken Chanp and Chicken Rezala is very tasty here. And another thing what they serve very good is Firni. The place is a bit clumsy and noisy. But the food lovers never forget the value of tasty Biryani of Biryani House. Price of Biryani in Biryani House below.